On Saturday, October 18, Chaminade’s Eagle Engineering Robotics Team sent three squads to the Viewpoint School’s “Clash in the Canyons” Robotics tournament and returned with two awards. The day-long competition included teams from the Los Angeles and San Diego areas as well as two teams from Great Britain. 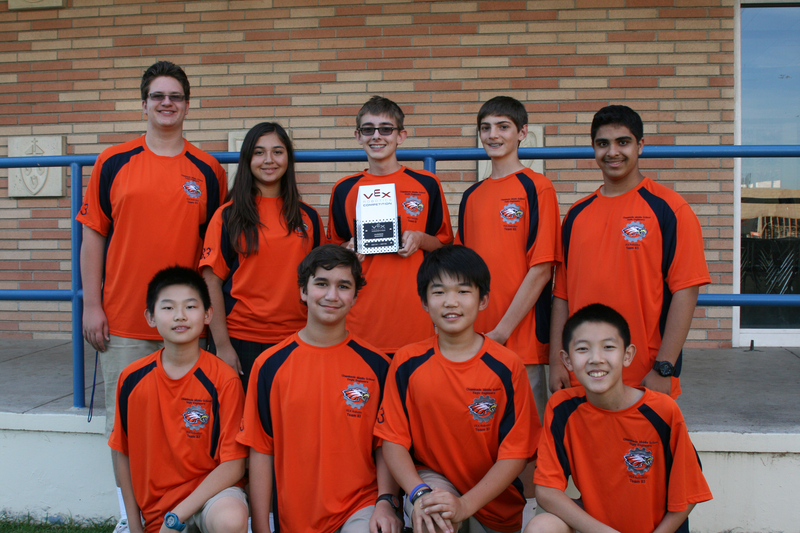 A second Eagle Engineering squad, Team 1138-B, took home an award at the Clash in the Canyons. They received the Excellence Award, which is given to the best all-around team at the tournament. The 1138-B squad, captained by senior Chance Bisquera along with driver Shail Desai ’18 and coaches Rushil Rajganesh ’17 and Bhavik Shah ’18, finished with a sixth seed in the tournament. They partnered with Team 1138-A and a squad from Grace Brethren for the finals but were knocked out in the first round after two very close matches. 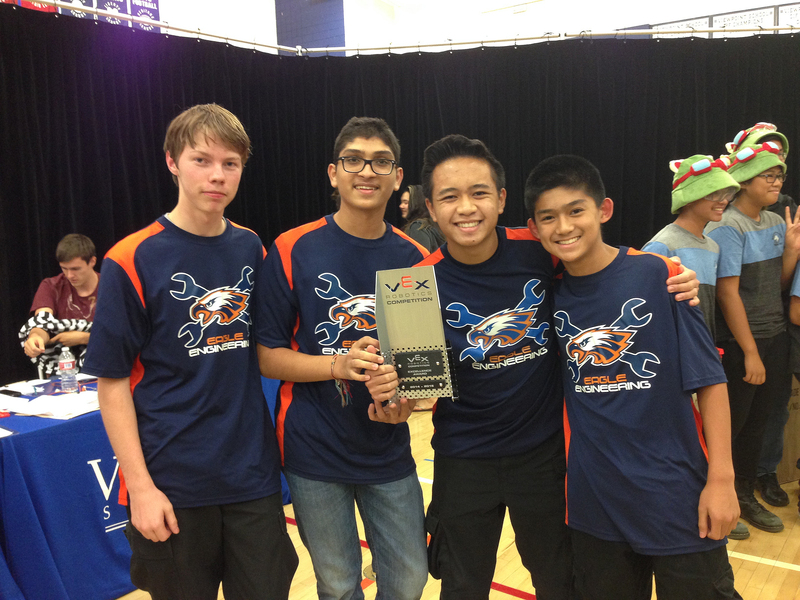 The Excellence Award qualifies 1138-B for the Southern California Vex Robotics State Championship in February, but this group of hard-working engineers has no intention letting their foot of the gas. “We have a lot we want to do to improve our ‘bot and our team before States,” said Bisquera. The team’s next competition is on November 8 at Reseda High School, where three 1138 squads will compete along with Team 83 from the middle school. Between now and then students will put in many hours in the Bob Hope Center fine tuning their machines and practicing driver skills for the challenges ahead. This entry was posted in Academics, High School, Middle School, Robotics by Chaminade News. Bookmark the permalink.